Had the following press release from Meerkat movies and thought it would be handy to post it here. UK cinema goers can potentially save a lot of money on cinema tickets, especially now there is no more Orange Wednesdays. This summer’s family movie line up is a jam-packed entertainment feast including The Minions, Pixels and Shaun The Sheep to name just a few. With six long weeks to plan for and the uncertainty of the British weather looming over the best made outdoor plans, make sure you’re signed up to Meerkat Movies for 2 for 1 cinema tickets to take full advantage of the savings every single week. Meerkat Movies is available when you use comparethemarket.com to purchase car, home, travel insurance, switch energy or any other qualifying product*. By using comparethemarket.com, you could already save over ￡273 per year simply by switching your energy**. 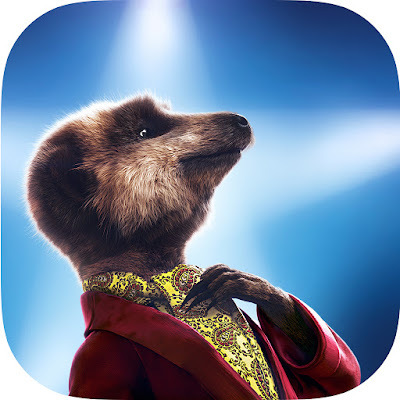 On top of this, you can take full advantage of Meerkat Movies 2 for 1 cinema tickets and start saving an average saving of ￡6.72*** every time you take a plus one to the cinema – simples! To make sure you can start saving on cinema trips before the holidays, you simply need to log in to the app using your comparethemarket.com account details and shake the phone to unlock the week’s 2 for 1 cinema ticket voucher code. The Meerkat Movies app generates a new code from 00.01 every Thursday for use the following Tuesday or Wednesday so you can plan cinema play dates in advance rather than having to wait for the redemption day to access their voucher code. People who have made a purchase through comparethemarket.com in the last 12 months are likely to have automatic access to the Meerkat Movies app as the business gifted membership to existing customers. Don’t miss out - to check if you already qualify, download the app and follow the simple steps. Don't do it people, the movie deal is a big con. Bought travel insurance from Cover For You based on a quote from compare the market. Been trying to activate my travel membership for over 3 weeks with no luck. Sent more than 5 emails to their customer serviice to complain and note one single response. Save yourself the headache and use other price comparism services.